Congratulations to Alex Kajitani, selected California Teacher of the Year, and the state’s nominee for the National Teacher of the Year competition to be announced in Spring, 2009. You’ll remember Alex as “The Rappin’ Mathematician” we featured in last December’s teachers.net article. Click here to read the official announcement about Alex. 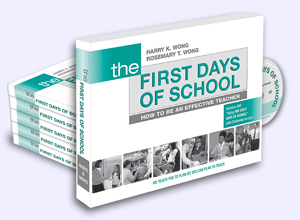 And, there’s a new, exciting, 4th edition of The First Days of School. 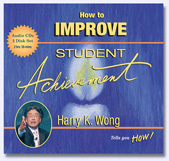 The most helpful book for all teachers continues to evolve. 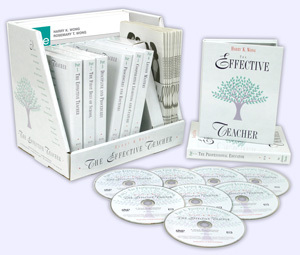 This enhanced edition has More Procedures, New Rubrics, Assessment, Professional Learning Teams, Online Enrichment, and an Amazing New DVD. Click here to see these and all the exciting additions and improvements. Six remarkable professional educators are pictured on the cover of the new The First Days of School. One of these is Nile Wilson (third from left), an orchestra teacher in San Antonio. Hired as the new Director of Orchestras for a brand-new high school, Nile started her very first day of school armed with a thick handbook of classroom procedures. So many changes with the new school were a little dizzying for everyone—teachers, students and parents alike. New school. New friends. New teachers. New procedures! Is it possible to be too organized? Can a teacher have too many procedures? Nile Mendoza Wilson began to wonder during her first year of teaching in the United States. She says, “To me, going to violin school was a social event. I couldn’t wait for the breaks to play with the other kids! There was even a point when I wanted to quit, but my grandmother insisted I continue. “When I turned 14, I met Basilio Manalo, a pioneer of strings education in the Philippines, who took me under his wing. Life in the Philippines was difficult, so when Basilio offered to teach me for free, I knew not to take his kindness for granted. Finally I started to take violin seriously and my skills grew. Nile graduated with a degree in music education from St. Scholastica’s College in Manila and went to work as a music educator at several prestigious private schools. She also continued performing as a professional orchestra musician. As a senior in college in the Philippines, she met Drew Wilson, a senior in college in the United States, in an Internet chat room. As their chats progressed into overseas visits, they fell in love. 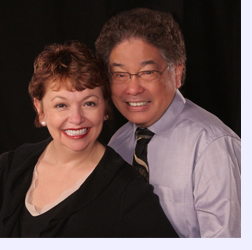 And in 2001, Nile immigrated to the United States to marry her long-time sweetheart. Talk about change! Good and bad. A new country. A new husband. Learning to drive. And rejection. While Nile had been an accomplished musician and educator in her native Philippines, in the U.S. she found it difficult to find employment. Rejected from teaching, Nile resorted to odd jobs to fill the gaps. Her break came after a successful audition for Old Dominion University won her a scholarship to attend its master’s program. Nile was an active member at ODU; she served as concertmaster of the symphony orchestra, was first violinist for the Diehn String Quartet, was a winner of ODU’s annual concerto competition, and attended master classes sponsored by the Virginia Symphony Orchestra. In 2004, Nile graduated with a master’s of science degree in secondary music education. Her resume impressed the principal at John Paul Stevens High School in San Antonio, Texas. Nile was hired as the orchestra director at the brand new school. 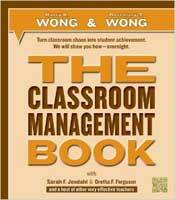 But I knew in my heart and from my own experience that the key to a successful classroom filled with students able to learn and achieve is organization and structure. Teaching orchestra is a complex task. There are different instruments, different skill sets, and different musical scores. 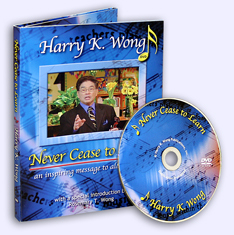 There are exercises for tuning up, warming up and learning to sight-read music. There is practice music, challenge music, and concert music. The director must consider a wide spectrum of factors from the safety of the students to the accomplishment of a complicated score. And all this must be done within the scope of a single class hour each day. The bell has not yet rung for the class period to start, but strains of orchestral music waft from Nile Wilson’s classroom. Like the fresh-baked aroma from a bakery that sets your mouth to watering, the melody prepares Nile’s orchestra students for the music they are about to create. Like every effective teacher, Nile knows how to make the most of every minute she has with her students. “When students step into my classroom, they know exactly what’s going to happen in class. I include class objectives on the TV screen, so they are visible as soon as the students enter the room. Be Prepared. Be Punctual. Be Appropriate. Here are three of Nile’s procedures that underlie every activity in her classroom. At bell, warm-up monitor steps up to director’s podium and leads warm-up exercises. A signal is used to gain permission for the restroom; Nile responds with a nod or shake of her head so practice is not interrupted. Three minutes prior to end of class is reserved for cleaning up, so there is plenty of time before class is dismissed. Nile has procedures for just about every classroom activity, from handling absences and coming in late to musical challenges and classroom courtesy. When a student occasionally forgets, Nile simply reminds, “What’s the procedure, please?” As a result, her class pretty much runs itself. It took time, but in the three years since Nile began teaching at Stevens High School, she has more than proven her mettle. 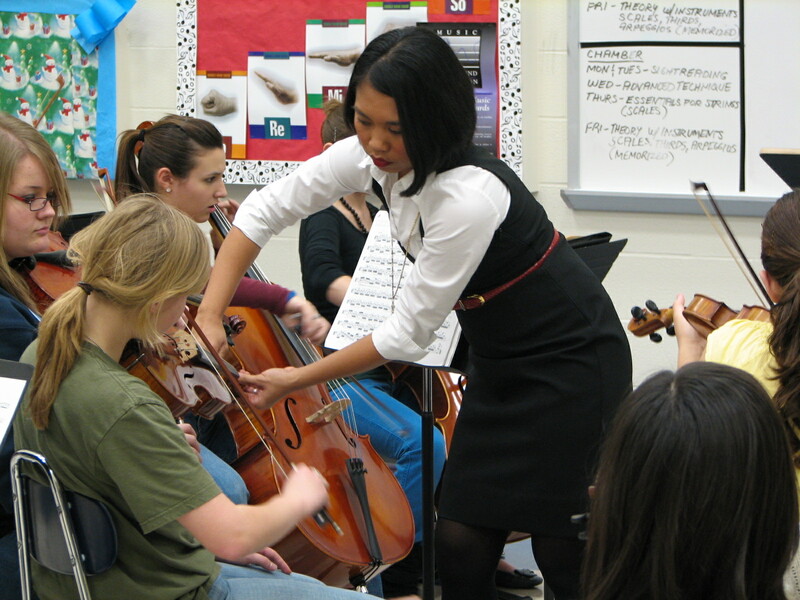 The orchestra program has grown, more than doubling from 35 students in 2005, to 74 in 2008-09. And the skills of the students have also grown. Just two years after Nile took over the reins, her orchestra students gained great respect as competitors at the prestigious University Interscholastic League (UIL) competitions. The proof is in the pudding. The orchestra has earned a number of trophies—concrete evidence of their increased performance skills! Nile Wilson faced initial skepticism from some of her parents and students who weren’t accustomed to classroom procedures. But the success of her students and their enjoyment in her classroom changed their minds. As for those parents who at first weren’t too sure about Nile and her handbook—many are now her most ardent supporters. Nile has learned from them as well. Over the years she has trimmed her orchestra handbook to make it more accessible and has modified procedures to better fit the needs of her class. 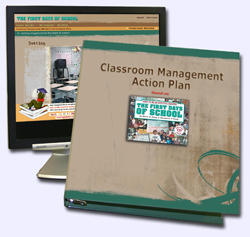 A website (www.falconorchestrasatx.bravehost.com) facilitates communication, helping to inform parents, students, and the entire school community of important events and achievements. Nile has several students who have expressed interest in majoring in music education, and these students have been designated as her teaching assistants. Nile gives these students the opportunity to conduct music, run rehearsals, and teach beginning and intermediate orchestra classes. While they will be learning how to play all the string instruments when they go to college, those who are really serious about teaching music have a head start. She has taught them how to play all the string orchestra instruments and how to teach these instruments to beginners. Her procedures enable her class to make the most of each day. Because of her organized procedures, the teaching assistants run the rehearsals in her absence. She is an inspiration to those students who want to become teachers. Nile is a successful teacher and musical director. Her classroom is filled with the sounds of students learning and achieving. And your classroom can be the same way, too. Structure is the key and Nile is happy to share her orchestra handbook with you. Click here to see it. A successful teacher is successful regardless of the subject they teach! 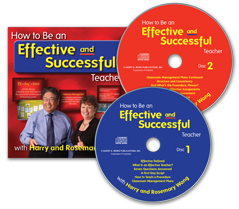 On the cover of the new 4th edition of The First Days of School are also these effective educators (from left to right) who have been featured in past teachers.net articles. They also are referenced in the pages of the book. Pages iii, 24, 166, and 315. Ed will be featured in a Spring 2009 of teachers.net article. Each and every one of these teachers and administrators is successful because they communicate procedures, establish routines, and have high expectations for their students. They understand that the time they spend organizing and structuring their classroom and school directly translates into success for their students. from the very first day of school. We’ve often made reference to the fact that teaching is one of the only professions where teachers can start all over again any day of the school year. If you do not use procedures in your classroom, you can start tomorrow and you will notice a difference in your classroom. We recently received a letter from a principal who wrote an apology! He said that as a new teacher 20 years ago, he was in the audience during one of Harry’s presentations and cast off the information as bunk as “he knew it all.” Twenty years later, he has come to realize how valuable the information on effective teaching is and what a difference it makes in school climate and student achievement. As an administrator now, he is an advocate of our work and uses it to help his staff become the most effective teachers possible for his students. Please don’t wait 20 years for your epiphany. The time you have with students is too valuable. Too often we bemoan the lack of time to get everything done in the classroom. With procedures and routines in place, more minutes will be added to your instructional clock and the sounds of learning will fill your classroom.